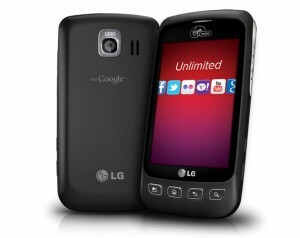 The LG Optimus V on the Virgin Mobile network is by far one of the best values in Android smartphone computing. Not only is the Optimus V an excellent entry/intermediate device, it’s also on one of the nation’s cheapest smartphone plans starting at $25/month. Like it’s siblings, the Optimus V is very welcoming to custom roms and kernels. To get started, you’ll need to load a custom recovery so you can flash your desired rom and/or kernel. Note: You must be rooted first. If you aren’t, look up the Gingerbreak app. The following steps assume you have adb working correctly and you have the correct drivers loaded on your computer. There should be two files in the .zip file, flash_image and xionia_cwma_12518.4_virgin.img. Extract the contents to the root of your /sdcard. Open up a command prompt, we’ll be using adb to flash the recovery. Connect a micro usb cable from your Optimus V to your computer. Find the Superuser app in your app tray and open it. On your command prompt, Type “adb shell” and then type “su”. Immediately check your Superuser app, it should prompt you to allow access. Select remember and allow the access. You can now issue the command “reboot recovery“, but I prefer to power down and manually enter recovery on the first try. Power down the device. Then press and hold volume down + home + power. You can let go once the LG boot image comes up. If you see the blue lettered Xionia recovery, then you have installed your recovery correctly. First order of business is to make a nandroid backup under the backup and restore menu. Use the up/down buttons to navigate and the camera button to select. The back button will bring you back to the previous screen if you get lost. Now go download a rom or kernel and try it out! does this clear all user data? excellent post! Just what the doctor ordered. Wasnt sure if it was going to work on my phone since its got the new hardware. Thanks!! !